Silver Wind, pictured here, is one of two Silversea cruise ships scheduled to travel to Cuba next year. Silversea Cruises, a high-end, luxury cruise line, will be joining the flotilla of cruise ships making ports of call in Cuba. The company has announced five sailings for 2019, departing from San Juan, Puerto Rico and Fort Lauderdale, Florida. The seven- to 14-day cruises, depending on the itinerary, will make stops in Santiago de Cuba and Havana, as well as other ports of call in the Caribbean. The first cruise is scheduled for February 2019 aboard the Silver Wind, departing from San Juan for a seven-day journey. 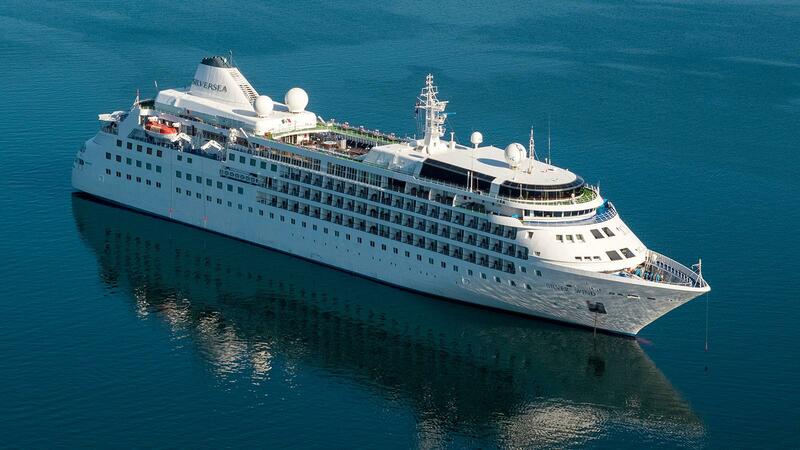 The Silver Spirit will depart San Juan on February 22 for a 10-night voyage. The other three 2019 cruises depart in March, April and November. Silversea also announced that it intends to add 12 more cruises to Cuba for the 2020 schedule. Brad Ball, a spokesman for Silversea, said the company had to go through a long application and approval process before it could begin offering cruises to Cuba. Ball said that decisions about future cruises beyond 2020 will be made based on the level of demand for the inaugural cruises in 2019 and 2020. Ball added that the cruise line is offering a variety of cultural and educational programs for their stops in Santiago and Havana to help their passengers comply with people-to-people regulations required by the U.S. government on U.S. citizens wanting to visit Cuba legally. According to Silversea, each of the ships heading to Cuba also has a smoking lounge where cigars can be enjoyed with a variety of luxury spirits. The cruise-line industry has embraced Cuba since the first ship, the MV Adonia of Carnival’s Fathom line, docked in May 2016—the first U.S. cruise ship to sail to Cuba in 40 years. The industry’s three largest cruise lines—Carnival, Norwegian and Royal Caribbean—alone have nearly 100 cruises scheduled between now and the end of 2019. The Cuban government predicted it would receive more than 500,000 shipborne visitors this year, with the number certain to increase in 2019. According to published reports based on government statistics, the country had already received 349,000 cruise ship tourists through July 2018. There are half a dozen other cruise lines that also sail to Cuba. MSC Cruise lines, the fourth largest cruise line in the world based in Switzerland, has announced that it will being offering cruises to Cuba starting this December. Azamara, Holland America, Viking, and Oceania, among several others, all currently offer Cuba ports of call, with Seabourn, another small luxury cruise line, beginning to sail there in 2019.